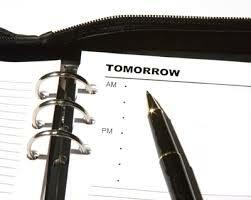 See What I Mean Sundays: What Kind of Tomorrow Awaits Us? Unlike other models that have preceded this, this is not a coalescing model where Israel and the Church merge with a resultant loss of distinctives. Neither the Church nor the Jewish people swallow up the other! It is not the typical two covenant model either. The model goes beyond other models, being more inexplicit in how the Church and Israel ought to link their thought and action to each other and to the mission of God, that is, what God is up to in the world. This model holds that both the Jewish and Christian communities will maintain their own cohesion beyond history’s final horizon, a time beyond time when both communities, in the presence of the other, will each be validated and corrected in the salvific and revelatory eschatological revelation of the Living God and the Judgment that awaits us. The model preserves and values the creational, covenantal, and existential distinctions that mark the particularities of Israel and the Church, distinctions that remain in the eschaton and final state. This model remembers and values how true encounter with God combines reassurance and reproof, as is evident from examining prophetic oracles, as well as the Letters to the Seven Churches in Revelation. In Revelation, the best example is the Letter to Ephesus which states, “‘I know your works, your toil and your patient endurance, and how you cannot bear with those who are evil, but have tested those who call themselves apostles and are not, and found them to be false. I know you are enduring patiently and bearing up for my name’s sake, and you have not grown weary (thus, commendation, reassurance), But I have this against you, that you have abandoned the love you had at first (thus correction and rebuke).” In the Older Testament, Isaiah’s Temple vision is one paradigmatic example of this phenomenon. On the one hand he knows himself to be “undone,” “a man of unclean lips who dwells among a people of unclean lips.” On the other hand, he is the one for whom the angel takes a coal from off the altar with which he touches his mouth, cleansing him of his uncleanness, while the Divine voice summons him to service of the Divine, thus, rebuke and reassurance. So shall it be for Israel and the Church, when we see Him as he is, and know ourselves as we truly are. There will be reassurance, and yes, there will be rebuke. This model posits that Yeshua of Nazareth is the vanishing point at which the historical trajectories of Synagogue and Church converge. This revelation will come as both validation and corrective for both the Christian and Jewish communities. The Jewish world in general has long assumed that Jesus of Nazareth has little relevance to them, and the Christian world has long ago forgotten or denied his continuing bond with Israel, his validation of her pathways of holiness, and commitment the consummation of God’s promises to her. Yeshua will ultimately be fully known as both Lord of the Church and Son of David. In the process, both communities will be reproved and corrected, in the presence of the other, that no flesh might glory in His Presence. The model mirrors the experience of the sons of Israel with Joseph their brother. Although given up for dead, he was yet alive, and, although unseen and unrecognized as their committed kinsman, he supported the descendants of Jacob throughout their years of travail as their champion and friend at the right hand of rulership. Joseph’s self-revelation and Yeshua’s apocalyptic unvciling as parallel. The Convergence Model rejects seeing the fullness of Israel and the fullness of the nations as in any manner isolated from one another, or separate. Rather they are meant to be distinct and yet to have a synergistic relationship–each community learning from the other and from the mistakes each has made, coming to appreciate the other in the process, growing in mutual reconciliation and cooperation, with each community coming to understand itself better through the entire process in anticipation of the consummatiional convergence described here. Four terms are helpful in understanding this model’s richness. The first, borrowed from R. Kendall Soulen, is complementarity. The second is convergence, which both contemplates a converging consummation and advocates conforming present action and transforming thinking to the a vision of that consummation which, while partial and distorted, becomes clearer as it draws nearer. The third term is interfaithulness. The term interfaithfulness captures the both-and nature of the paradigm: yes, two faith communities (Christian and Jewish) living together, but in a manner which deepens and demands greater faithfulness from all parties rather than compromising it. The final term captures the imagination as to the outcome of all of this: synerjoy, a neologism based on the term synergy. Ray French and his co-authors define synergy as “the creation of a whole that is greater than the sum of its parts,” while Barb Rentenbach reminds us how “a designed beauty of synergy is that it serves only to add, never subtract.” Etymologically, “synergy” means working together, but the connotations of the term are unrelievedly positive. In context of the missions of God, of Israel and the nations, this is a consummational synergy leading toward consummate fullness of joy for the entire cosmos, hence, synerjoy. In my book I will seek to outline this synerjoy destination toward which we strive, and the synerjoy process, the roles to be played and the paths to be taken by Israel and the church along the way, that is the respective missions of each community under the mission of God. I am reminded of Robert Frost’s poem which speaks of two paths diverging in a wood, while in this model the two paths converge. But this model agrees with the poet’s insight, when he states, “I took the one (the path) less traveled by, and that has made all the difference.” So will it make all the difference if Church and Israel will learn to walk different paths than those to which they have grown accustomed, converging paths, in interactive instructive partnership with each other on route to their final destination. Ray French, Charlotte Rayner, Gary Rees, and Sally Rumbles, Organizational Behaviour (Hoboken, NJ: Wiley, 2008), 266. Barb Rentenbach, Synergy (Bloomington, IN: Author House, 2009), 6. Robert Frost, Mountain Interval. New York: Henry Holt and Company, 1920; Bartleby.com, 1999. www.bartleby.com/119/. [Accessed on line, May 29, 2013].